Founded in 1940, the Utah Symphony is dedicated to providing Utah residents and visitors with great performances which engage, educate, and enrich lives. 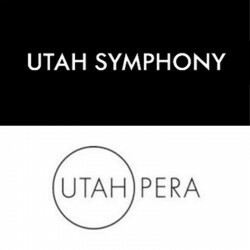 Utah Symphony | Utah Opera, the orchestra’s parent organization, reaches 450,000 residents in Utah and the Intermountain region, with educational outreach programs serving more than 155,000 students annually. The orchestra presents 175 concerts annually: 70 performances each season in Abravanel Hall, and participation in the Utah Opera's four annual productions at the Capitol Theatre in addition to numerous community concerts throughout Utah and the annual outdoor summer series – the Deer Valley® Music Festival – in Park City, Utah.